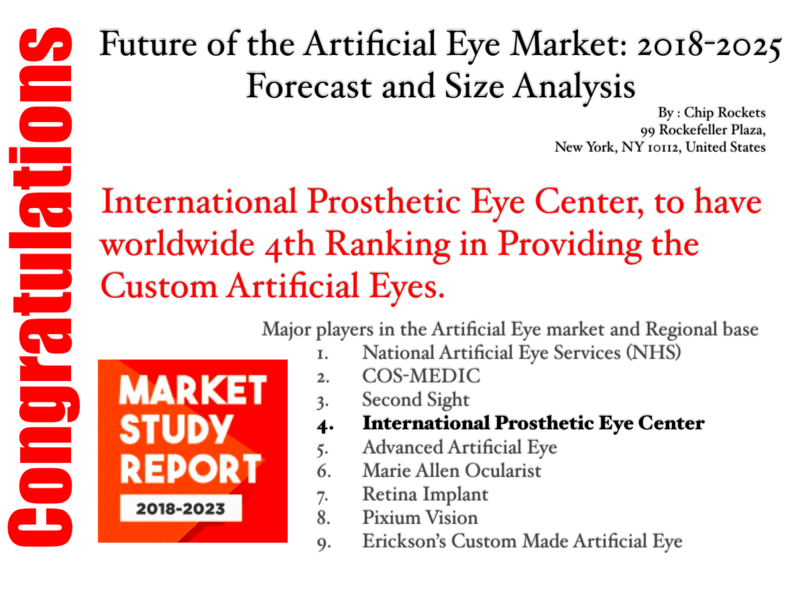 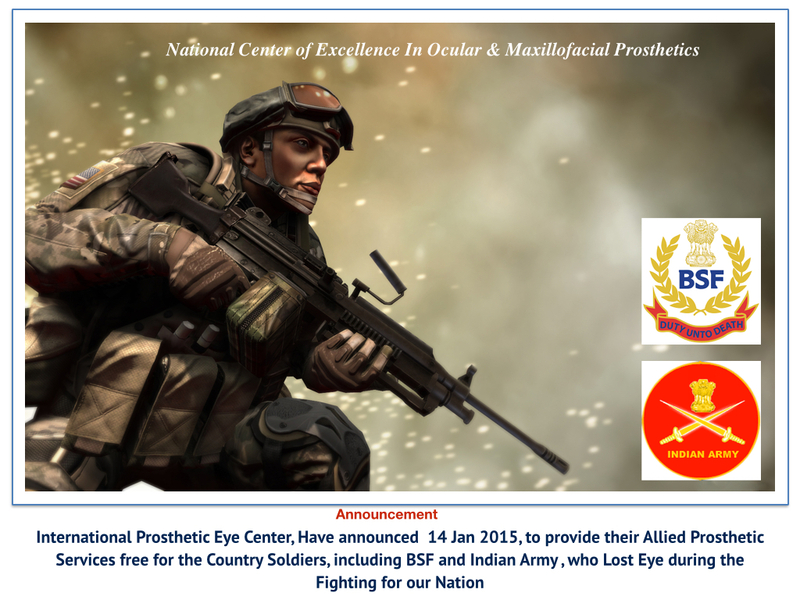 " National Center of Excellence For Ocular & Maxillofacial Prosthetics "
Congratulations International Prosthetic Eye Center to acheive worldwide 4th Ranking as per the Intentional Survey by Chip Rocket, published in "Future of the Artificial Eye Market: 2018-2025 Forecast and Size Analysis"
Her credentials are unmatched with any one from Asia, Middle East, Africa & Europe. 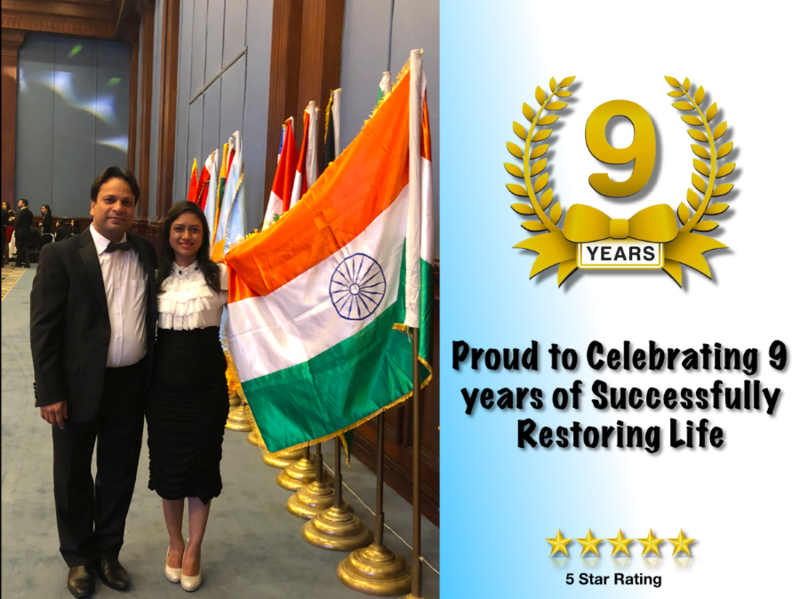 She bring the glory to India for bringing the First Ever CCA & made a land mark for India to 5th country in the world. 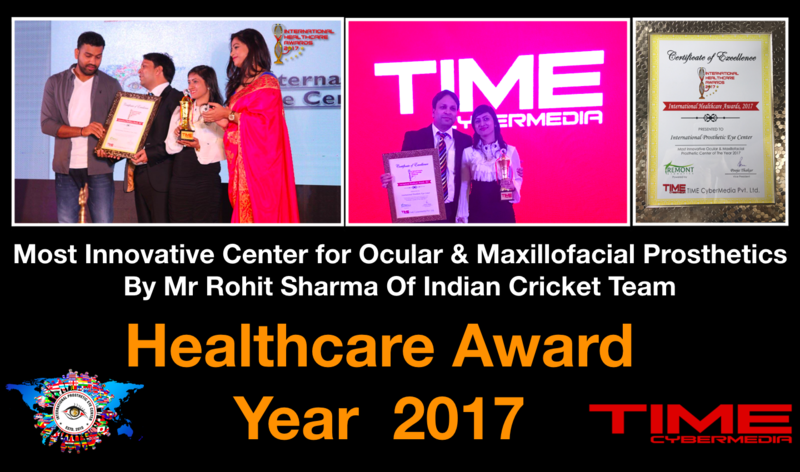 International Prosthetic Eye Center, Hyderabad received the Certificate of Excellence from Indian Cricketer Mr Rohit Sharma for the "Most Innovative Ocular & Maxillofacial Prosthetic Center in India" at Time Cyber Media International Healthcare Award, 16 July 2017, Mumbai. 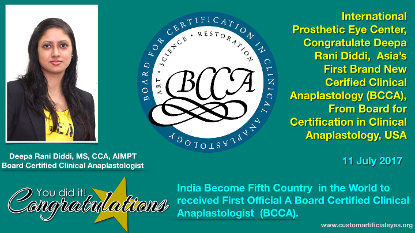 India Become Fifth Country in the World to received First Official A Board Certified Clinical Anaplastologist (BCCA). 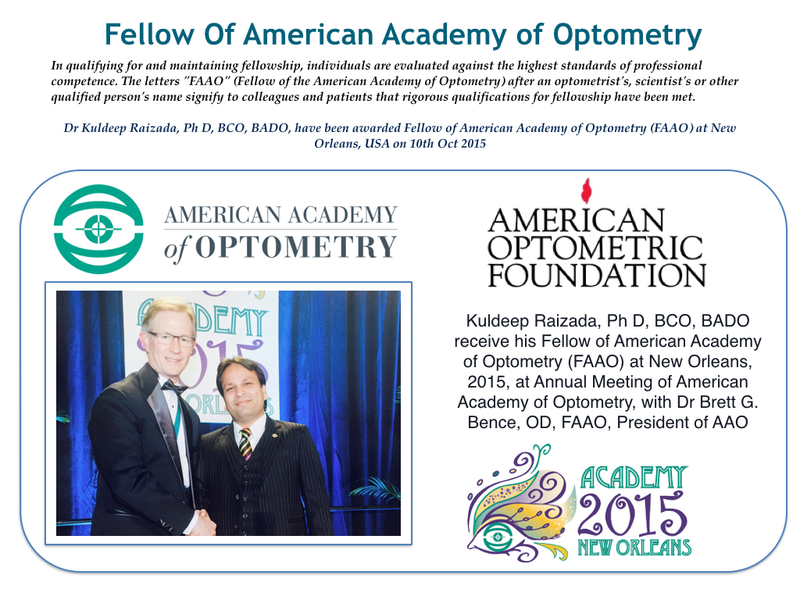 International Prosthetic Eye Center Proud to announce on 6th year Anniversary a “Novel Treatment for Vitiligo Patients, White Patch, Piebaldism,Idiopathic guttate hypomelanosis,Scleroderma,Chemical leukoderma, Nevus on Skin"
The letters "FAAO" (Fellow of the American Academy of Optometry) after an optometrist, scientist or other qualified person’s name signify to colleagues and patients that rigorous qualifications for Fellowship have been met. 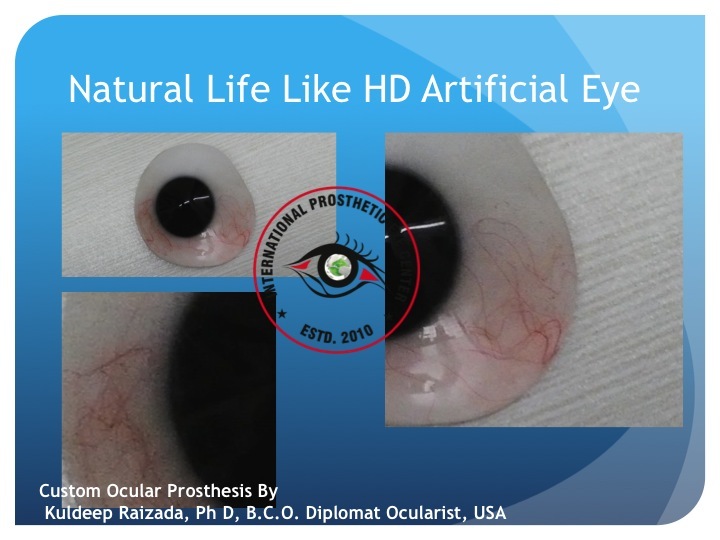 Using the latest digital photography tools, we are able to observe and record eyes unlike ever before.Making digital, artificial eyes isn’t just a matter of input. 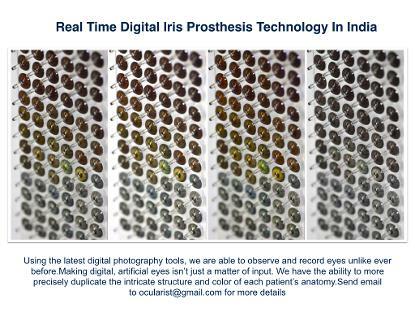 We have the ability to more precisely duplicate the intricate structure and color of each patient’s anatomy.Send email to ocularist@gmail.com for more details. 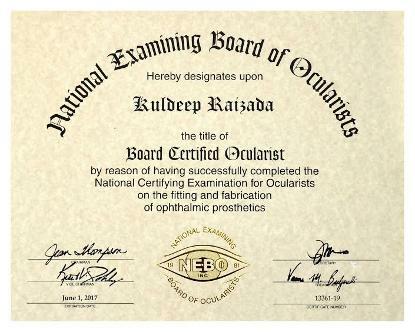 Kuldeep Raizada is the First and Only American Board Certified Ocularist who is Qualified from National Examination Board of Ocularist (NEBO), USA through out Asia Pacific and Middle East, which make him on of the rare of rarest in this profession. 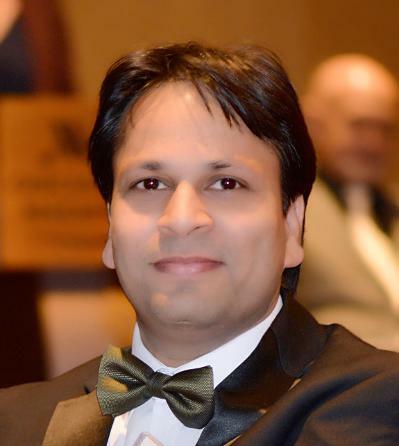 Kuldeep Raizada is again First and Only Diplomate Ocularist from American Society of Ocularist for the quality of Ocular Prosthetics and Ocular Shells through out Asia Pacific and Middle East. 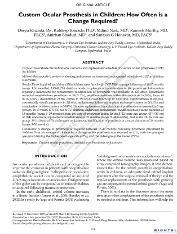 Non-24 is a chronic, circadian rhythm disorder. 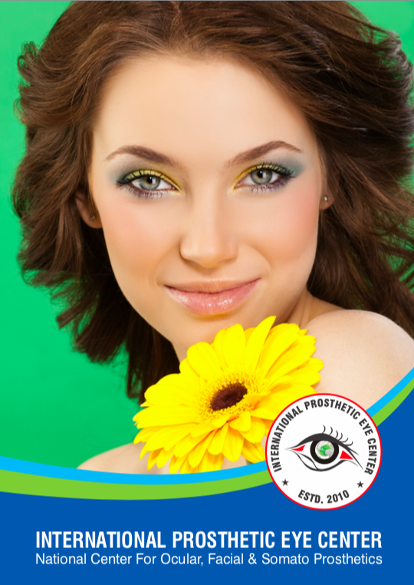 Its range of symptoms can happen at night and during the day, and they can be mild or severe. 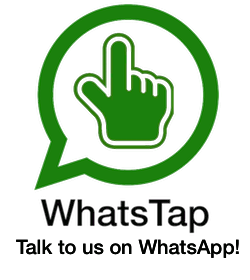 The Non-24 experience varies from person to person. 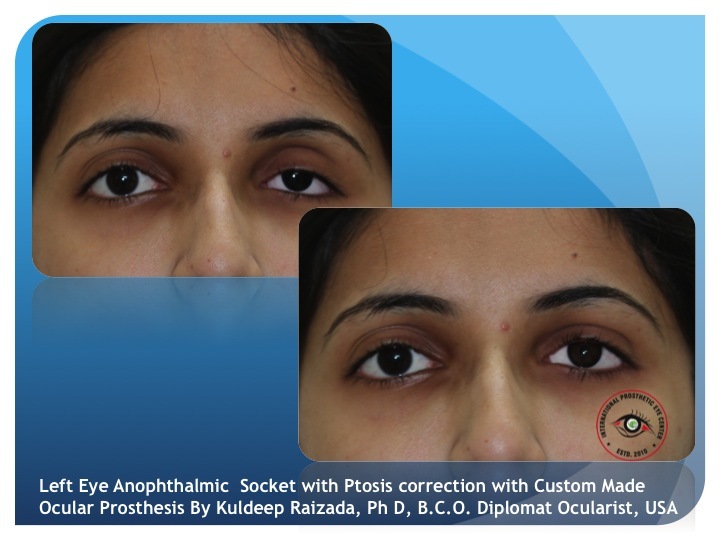 Ocular and facial defects are rehabilitated at the International Prosthetic Eye Center using ocular and facial prostheses respectively. 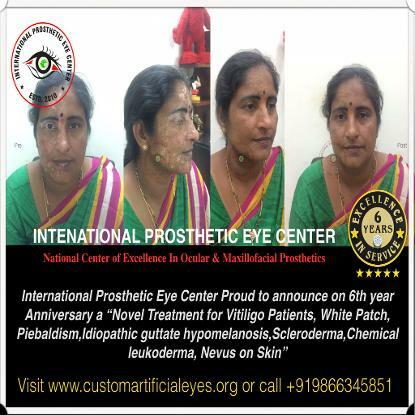 Most common causes of these defects include post-cancer treatment, after injury, Infections in eye and children born with a defect (Microphtalmia/anophthalmia). Each prosthesis is custom-designed to camouflage the defect and match perfectly to the contralateral side, which gives a natural life-like cosmetic appearance. 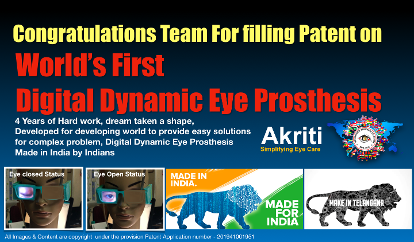 It needs a great talent and experience to do a good job in this skilled work. 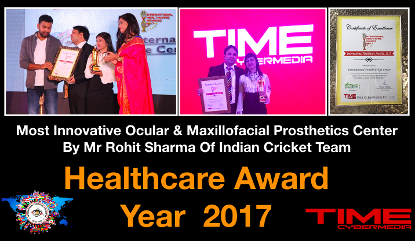 Such experienced clinical staff, Dr Kuldeep Raizada and Deepa Raizada (Ocularist & Anaplastologist) of International Prosthetic Eye Center, travelled to various parts Internationally to pursue education and experience in this field, and implemented new techniques and technology in their work. These completely changed the standards of work. 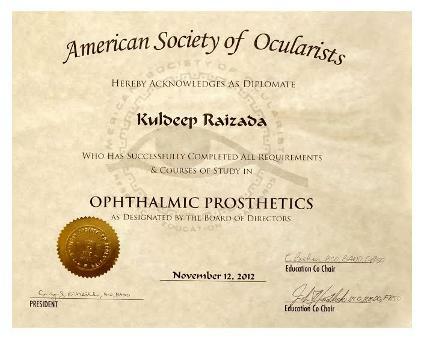 Successful results are achieved even in challenging cases, which was not possible before. 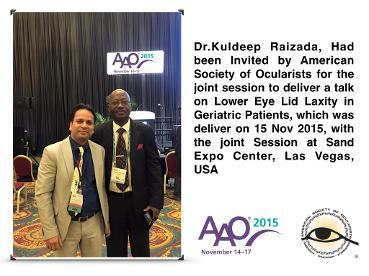 Dr Kuldeep Raizada has a wide practice in India, and overseas and only certified ocularist in India, who provide the custom artificial eyes in India ( artificial eyes in India), where you can get the complete solution for the damaged eye, we not only replace the cosmetic appearance but also provide the boost for the confidence. 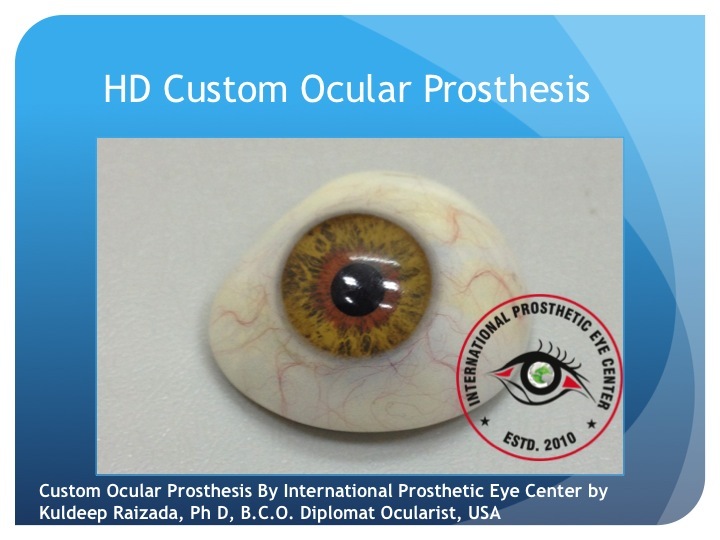 If you are in need of BestCustom Artificial eyes in India, Ocular prosthesis in India, Prosthetic eye in India, Custom prosthesis in India, please contact us. 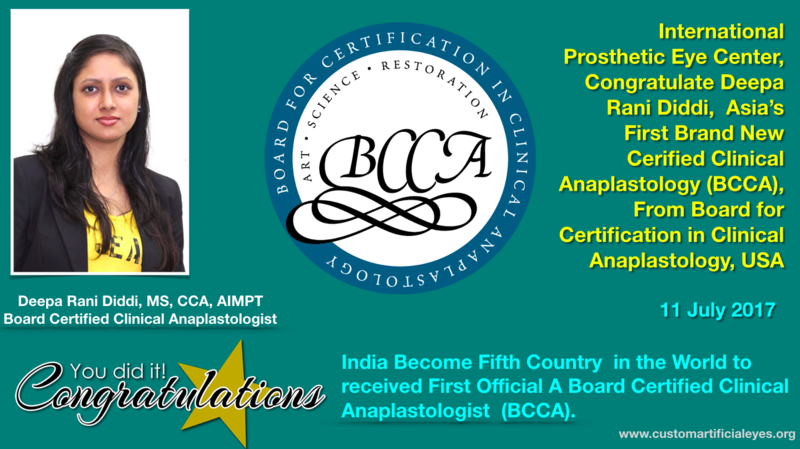 Ms Deepa Become the "First Asian to Earn A Board Certification In Clinical Anaplastology and Bring Glory to "India become 4th Nation in the world to have a Certified Clinical Anaplastologist". 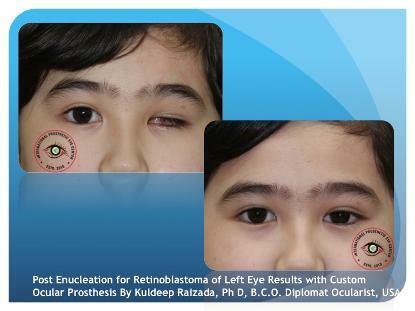 Dr Kuldeep Raizada, Give Lecture on "Ocular Prosthesis after Enucleation in Retinoblastoma" Patients in INAPOSS Bandung Scientific Meeting 2016, Held on 20-21 May 2016, Bandung, Indonesia. 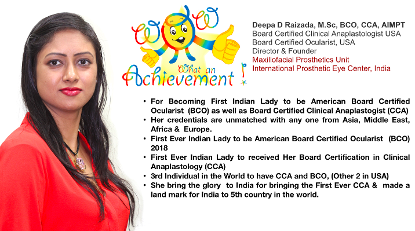 Deepa Raizada have been confirmed by the council of The Institute of Maxillofacial Prosthetist & Technologist at the The Royal Collage of Surgeons of England on 4th Dec 2014, as registered associate member of The Institute of Maxillofacial Prosthetist & Technologist (AIMPT). 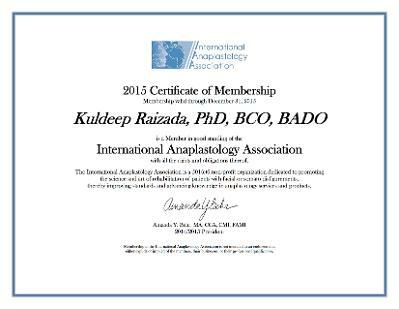 Dr Kuldeep Raizada have been awarded as BADO (Board Approved Diplomate Ocularist) for completing all requirement as Board certified ocularist as well as Diplomate from American Society of Ocularist at 56th Annual meeting of American Society of Ocularists meeting, Chicago, USA. 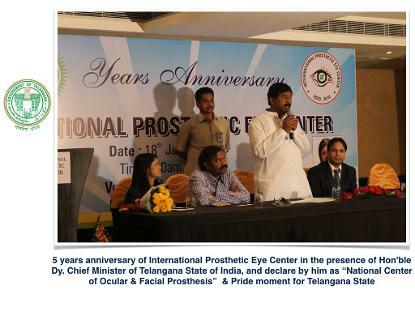 Deepa Raizada speaks on What’s new in Ophthalmic Prosthesis at Eye Bank Association of India Meetings on 26-28th Sep 2014 at Hyderabad. 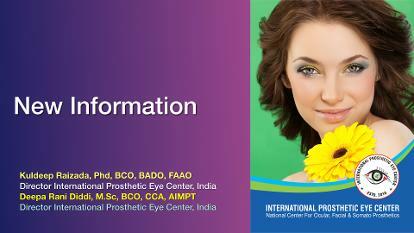 Deepa Raizada, attends 5-9th Dec 2012 the Annual Meeting of 40th Indian Prosthodontic Conference held in chennai, in conjunction with 8th Biennial meeting of Asian Academy of prosthodontic. Dr Kuldeep Raizada, provides the ocular prosthesis for 13 days baby.